When it comes to cooking, Fall is one of my favorite times of the year! I LOVE all things pumpkin! Here are 5 of my favorite Pumpkin Recipes that are sure to get you in the mood for Fall and for Thanksgiving that is just around the corner! This is a super easy way to prepare Pumpkin Butter – in the Crock Pot! Pumpkin Butter is one of my favorites on toast or warm biscuits. Yummy! One of my all time favorites for Fall – Pumpkin Bread! This recipe is super easy and makes two loaves – one for now and one to freeze for later if you have the will power! This is a recipe that my family has been fixing since I was a little girl and it always reminds me of home. Another family recipe, my Grandmother would fix this every year for both my birthday and for Thanksgiving. It is the ONLY type of Pumpkin Pie that I will eat. It is not baked, but prepared in a double boiler and then refrigerated. It is smooth, creamy, and oh so yummy! This pumpkin dump cake dessert can be made so easily! All it takes is a few ingredients, a cake mix, and the baking time! Super simple and a great dessert to take for a party or potluck! I never thought of having my two favorites combine: pumpkin and cheesecake, until I went to the Cheesecake Factory last year. Pumpkin Cheesecake is a new favorite of mine! I set out to find a recipe that would mimic that taste and this is it! 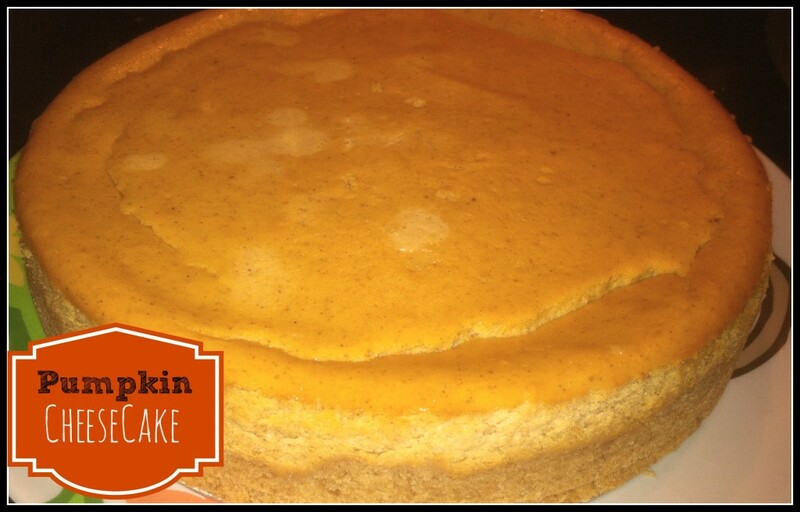 The perfect combo of cheesecake and pumpkin and taste a lot like my Ranny’s Pumpkin Pie as far as flavor. It is so good! I have been wanting to make a pumpkin cheesecake. I love your pumpkin recipes and never tire of pumpkin recipes!